There are dates, and then there are dates. If you are like me, the romantic type, going for a drive up the roads of Malibu is the way to go. It feels like going back in time, when movie stars would get in their luxurious coaches and drive in the pursuit of sun and fun. 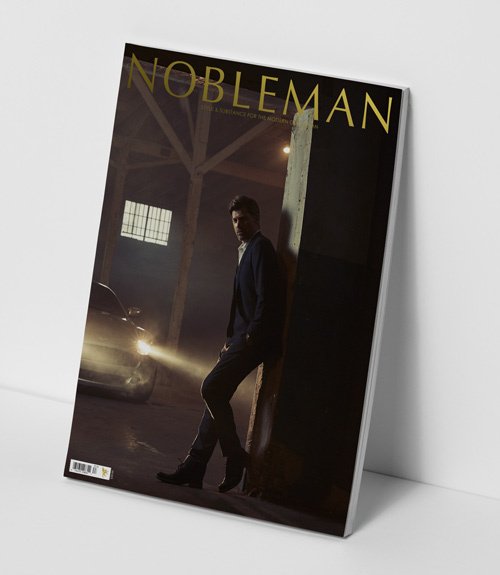 Of course, because this is NOBLEMAN after all, I had to throw in a little bit of luxury to make it a truly unique and, dare I say it, an extraordinary date. The idea was simple: just a quick, unassuming ride from Orange County to Santa Monica. 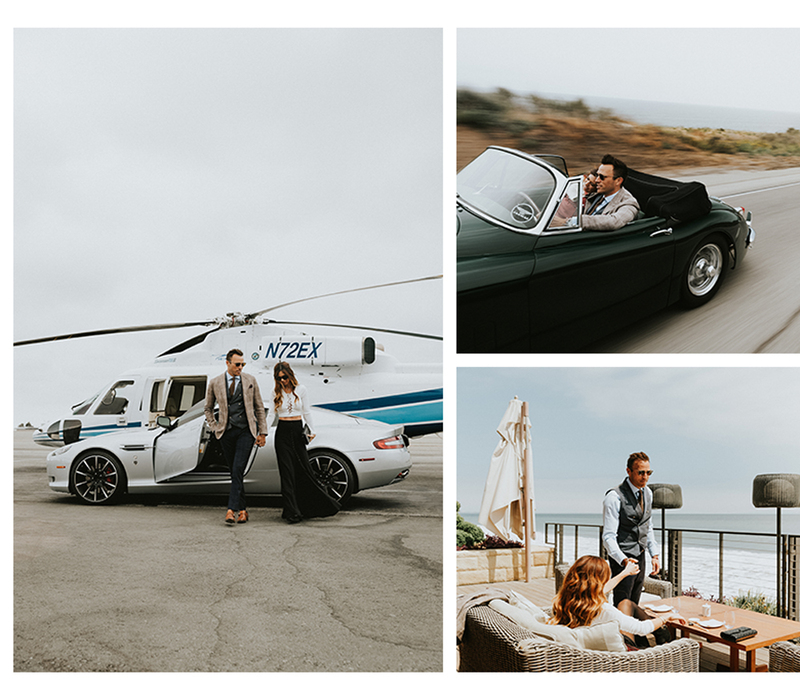 Rest assured, I had a few things up my sleeves as Lydia and I arrived at the brand-new ACI Jet FBO (Fixed Based Operator) at John Wayne airport. Hard not to be impressed by the brand new, gorgeous lounge. We pulled up to the tarmac, where we were immediately greeted by our pilot, who would whisk us through the air to our destination. It couldn’t have been any easier, and the smile on Lydia’s face was worth it! IEX Helicopters, in one word (well, maybe two or three): luxury, performance, beauty. Our chosen ride? The Sikorsky S76, the Rolls-Royce of Helicopters. 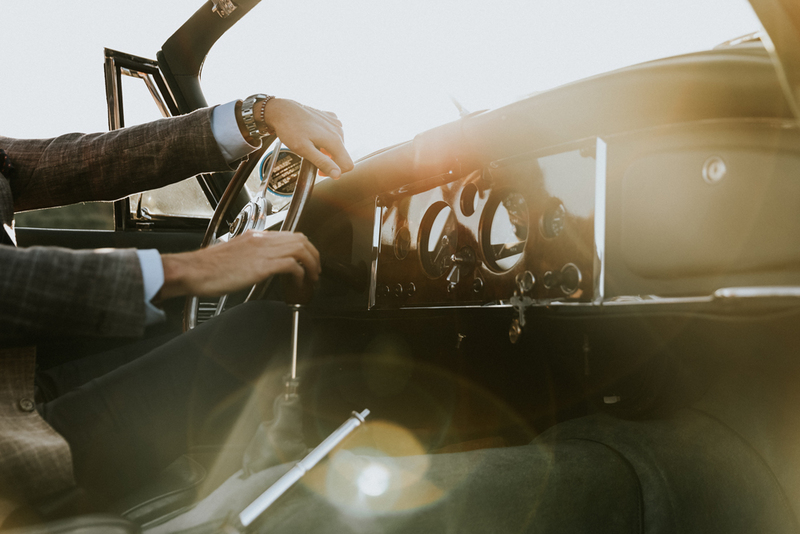 With a maximum speed of 178 miles per hour, (the S76 was much faster than one would think) you are ensured to get to your destination in style…and quickly. IEX has the largest fleet of the Sikorsky S76 on the West Coast. For those of you fantasizing about owning this engineering marvel, the cost is a cool $15M, and don’t even get me started on maintenance costs. Trust me, for the rest of us, a charter is the way to go. Talk about a fantastic experience. Even on an overcast day (June gloom in full effect) the flight is stunning. We elected to go over downtown Los Angeles for the view (took about 10 mins) then over to the Beverly Hills (mansion overload), then to Malibu. We flew low enough to get amazing views of pools and some unbelievable houses. Then, just like that, the houses disappeared, and we found ourselves overlooking the hills of Malibu. 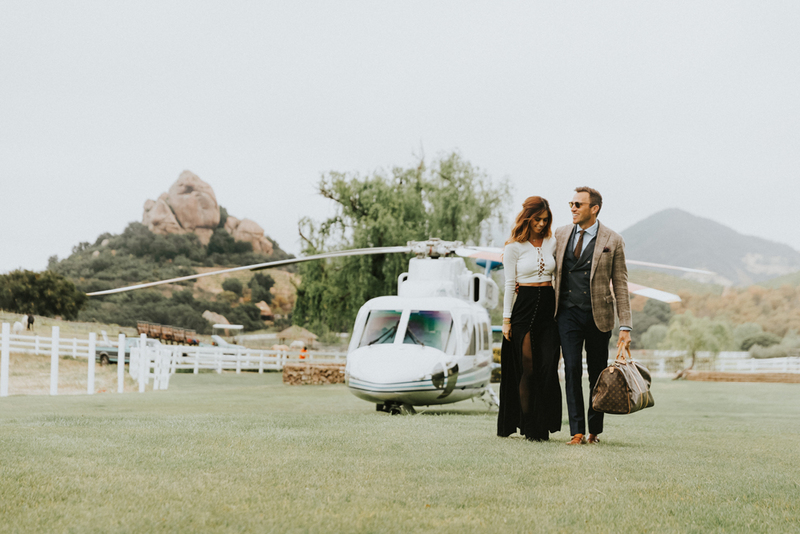 We landed at Saddlerock Ranch (aka Malibu Wines), like a scene out of a movie. Our pilot landed our aircraft skillfully on the lawn near the private home of Saddlerock Ranch’s owner. This is truly a magical property, surrounded by a lake, horses, ranch dogs, and even a giraffe (more on that later). Our entrance was incredible; the sight and sound of the wind generated by the helicopter, as well as all the leaves blown around just made us feel important and special. Were we to have been blindfolded during the flight, you would have believed we were transported to the English countryside. Now, for the best part! (Wait, wasn’t the chopper ride the best part?) I am a “car guy,” and I could spot this particular gem from 1,000 feet away as we approached the ranch. 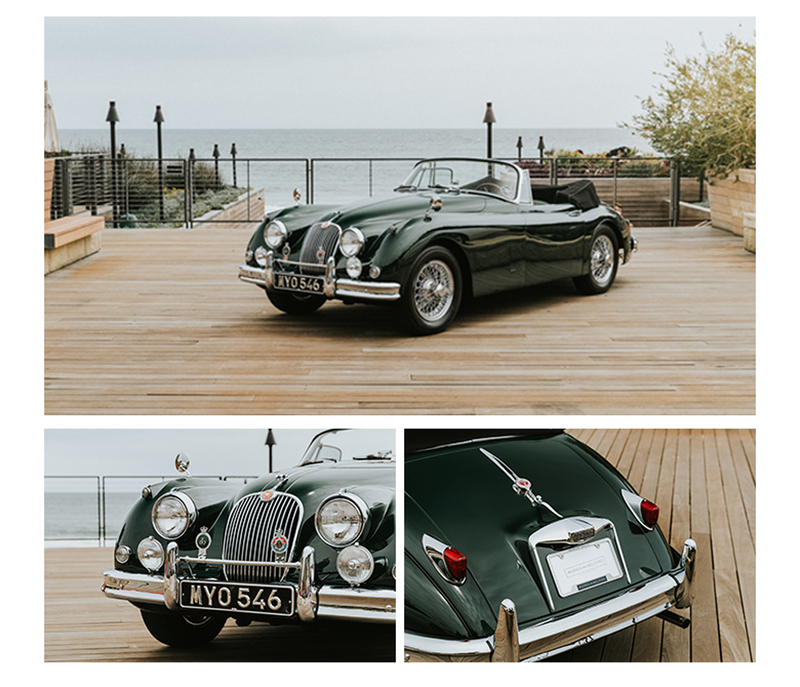 Standing there, in all its glory, was a 1958 Jaguar XK150 Drop Head Coupe just waiting there on a cobblestone driveway about 50 yards from our landing site. British Racing Green just like the first car I ever bought (although mine was a 1965 MGB, painstakingly restored with my dad). This is the car dreams are made of, and this one was in pristine condition. 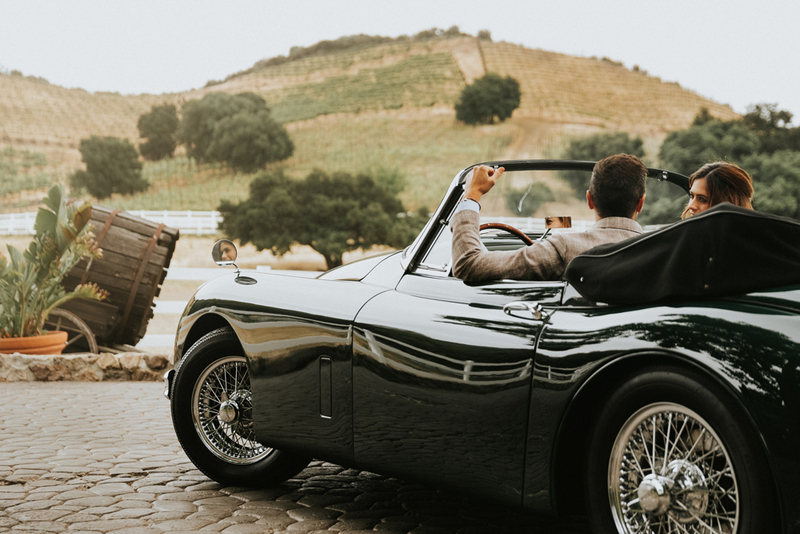 It was ours for the day, thanks to our friends at Morris & Welford, a car dealer located in Newport Beach, CA, that specializes only in the rarest and most perfect classic, sports, and racing cars. 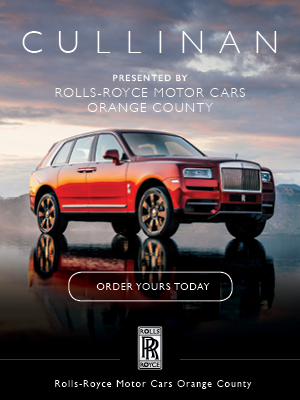 Morris & Welford don’t rent cars, but if you buy one of their gorgeous cars, I’m sure they would be willing to deliver to Malibu for you to enjoy. This specific Jaguar is currently for sale for $185,000. This is a car that needs to be driven. Handling it on the windy roads in Malibu instantly took us back in time. Lydia imagined us as royalty from the hit tv show, The Crown, and I felt like a race car driver from the 50s. No music necessary—the engine and wind were all we needed. 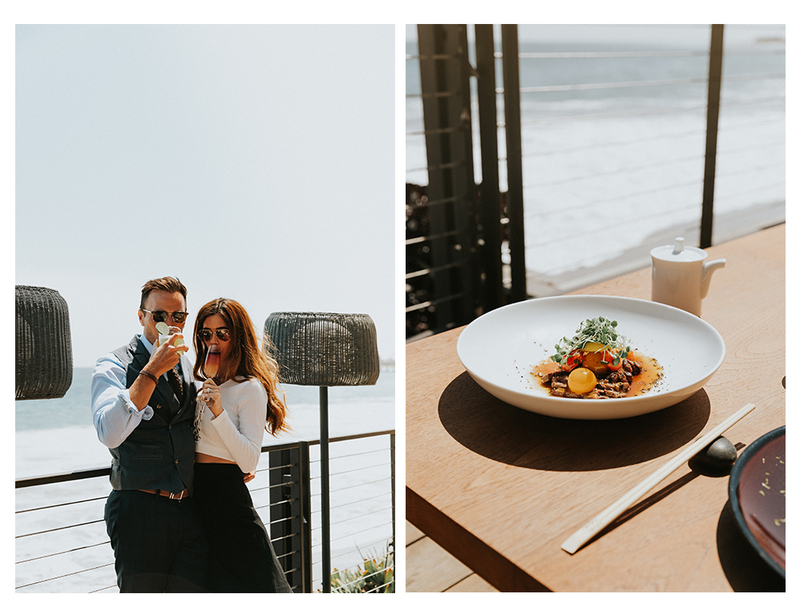 With the wind in our hair, we drove to one of our favorite spots, NOBU in Malibu, about 30 minutes away. Just on cue, the sun finally made an appearance, to put an exclamation point on our drive. 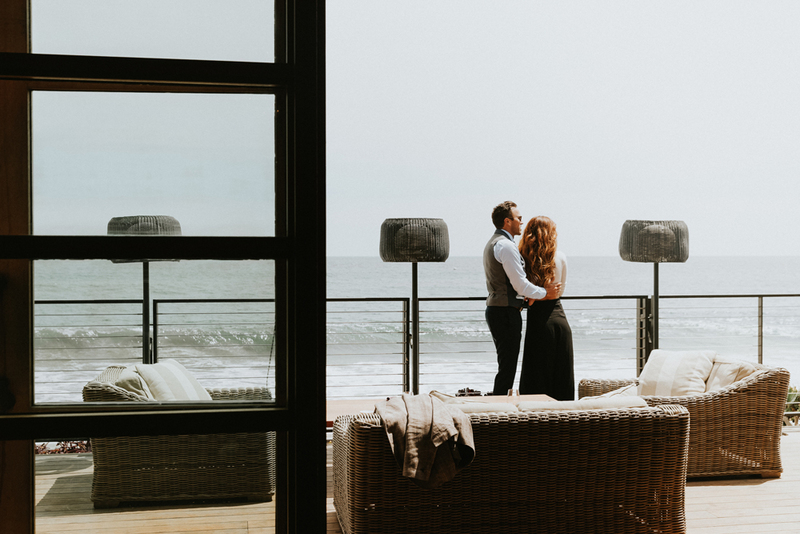 Upon our arrival, we were quickly seated and greeted by the sound of the waves crashing on the patio, while we enjoyed the delicious fare. Great food, unforgettable views—all in all, a great success. Not to be forgotten, our fabulous car was also a hit, as the valet staff quickly postured to get the best selfies next to it! 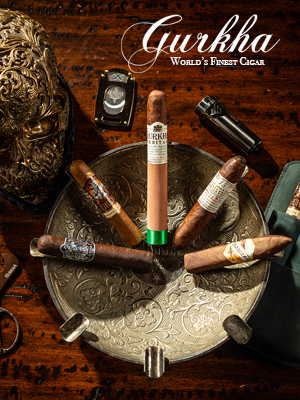 The day was far from over, and after our lunch we drove back to Saddlerock Ranch for a private wine tasting Safari…We had no idea what to expect. What a gorgeous property! 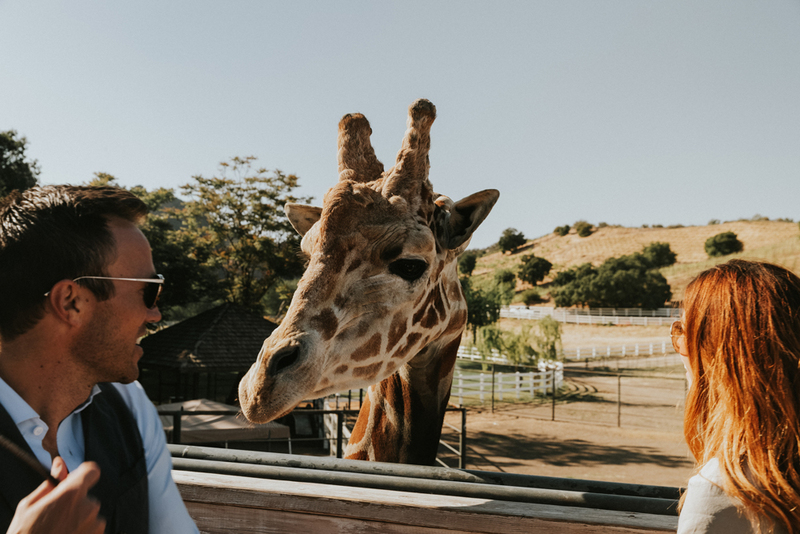 We explored the nearly-1,000-acre Saddlerock Ranch and vineyard in Malibu, we encountered wildlife and unique scenery, and let’s just say that our day wouldn’t have been complete without our up-close encounter with Stanley the Giraffe. Once more, we were blown away by the amazing views, and, as a bonus, we got to taste the local wines—what a great day! Our time in Malibu was coming to an end, so we jumped in the car to explore a bit more. Alas, even extraordinary dates have to end some time, and before we knew it, we were back in the helicopter, for yet another magnificent ride home during golden hour, which took all of twenty-five minutes. At the end of our perfect date? The perfect ending; the opportunity to put our boys to bed. To book your extraordinary date night visit IEX Helicopters.